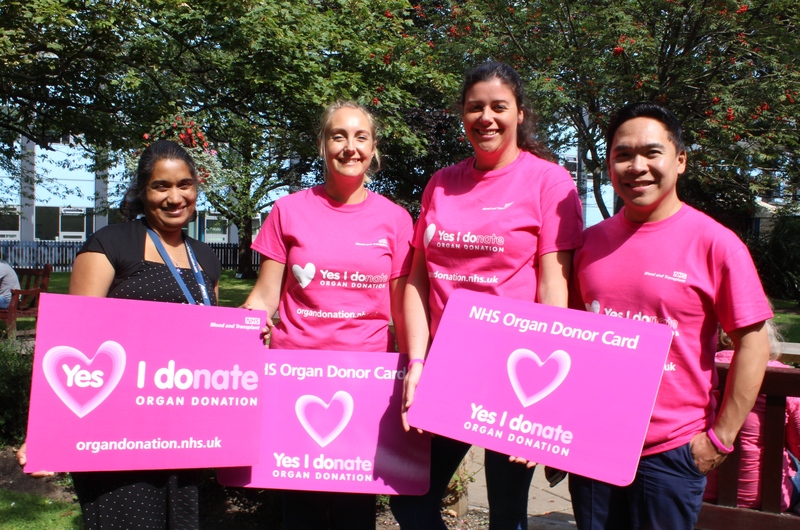 Specialist Nurses will be encouraging people to talk loud and proud about their wishes after they die, during National Organ Donation Week next week (4 – 10 September). Alex Wray, Raz Igasan and Sarah Plant, all Specialist Nurses in Organ Donation, work across the Emergency Department and two Intensive Care Units at Hull Royal Infirmary and Castle Hill Hospital. The team coordinates transplants between patients from this area and suitable matches across the country, and their work has contributed to some 381 people across the Yorkshire and Humber region receiving organ transplants in 2016/17. Research carried out by NHS Blood and Transplant shows that more than 80% of people support organ donation but fewer than half (49%) have ever talked about it. “One donor can save or transform the lives of up to nine people, and yet three people die in the UK every day waiting for a transplant. “In our field of work, we often find that people have not even discussed organ donation with their families, or they may have signed the Organ Donor Register but never mentioned this to loved ones. If a family doesn’t want to proceed with donation, even if that was the wish of their loved one while they were alive, we can’t go ahead, so it’s really important for anyone who wants to be an organ donor to have a conversation with their nearest and dearest to let them know. Research shows that women are 30% more likely to start a conversation about organ donation than men, but whoever you are and whatever your views, make them known. Don’t leave your family to make a difficult decision without knowing what you wanted.